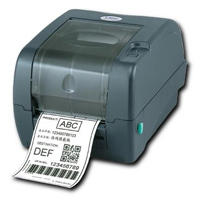 This is is what you need for the food label printing with the new bolded allergen requirements for stand-alone use. 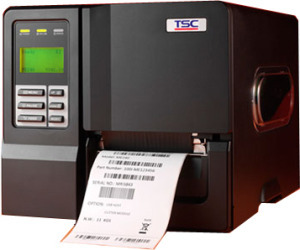 Stand-alone means that the label printer and small keypad combination can be used without either needing to be connected to a computer. 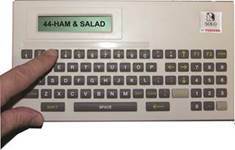 The user simply uses one finger to key in a number on the keypad with display to selected the label needed, then keys a quantity of copies needed and the labels are printed. The SOLO2 keypad can be paired with one of a range of roll label printers, we show the choice here of the small low cost desktop printer for printing 1 to 100 labels per time and the larger industrial printer for higher quantities. The SOLO2 system is supplied with the SOLO2 label layout software that can be used to set up the label layout called a ‘template’ you need and link it to a product list you or a friend creates in say MS EXCEL or NOTEPAD editor using a PC or LAPTOP. Your product list can be flexible in design and include titles, Best Before or Use By expiry dates, barcodes and storage messages for example. The SOLO2 is popular with users who have little or no computer skills so if you are a user who needs help with the setting up then we are here to help, we can set the system up for you and delivery it ready and working with all your product details loaded or come to your site and show you how to do it. 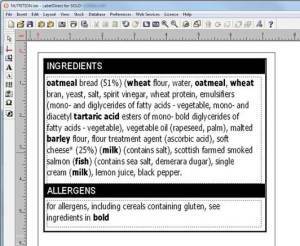 For allergen bolding to work in the keyboad when stand alone, all the ingredients can only be in one type of font, but then in your product list by typing the allergen words needing to be bolded in CAPITALS say like GLUTEN then gluten will be printed in bold on the label and the same for other allergens where needed to be bolded. We do have a low cost software LABEL DIRECT if you would rather connect the printer to a PC or LAPTOP directly all the time and not use the keypad or stand-alone method. The SOLO2 system can be supplied with a weighscale and so that the weight of variable weight product can be captured and the labels printed with the catch weight and price per kilo calculation.